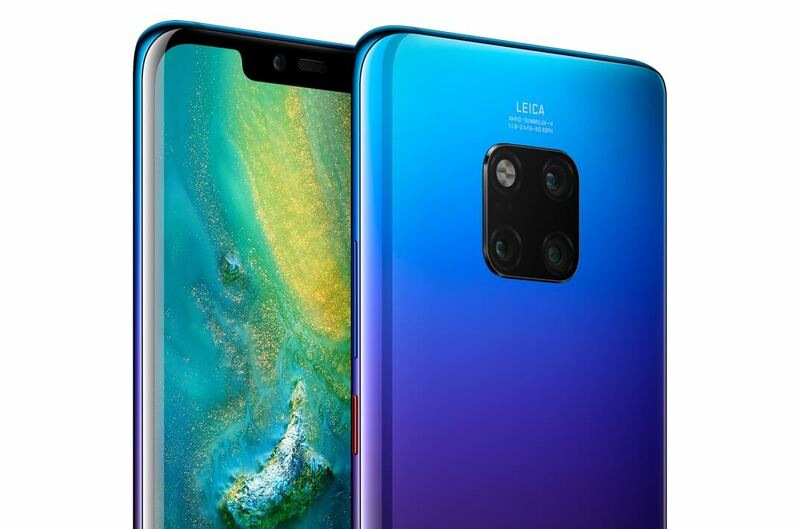 Inspired by limitless human imagination, the HUAWEI Mate 20 Pro features groundbreaking technology throughout. Experience the world’s best smartphone camera, a long-lasting, quick charging battery and an improved processor for even greater performance. The HUAWEI Mate 20 Pro camera is the professional’s choice. The AI powered Leica Triple Camera captures stunning colour and clarity, whether close up or in the distance. The 40MP, 20MP and 8MP cameras, plus the new Ultra Wide Angle Lens, all combine to make the world’s best smartphone camera even better. HUAWEI Mate 20 Pro is the fastest phone ever on our network. With the world’s first 7nm Mobile AI Chipset, the Mate 20 Pro’s speed, performance and efficiency are all greatly improved. Pair it with Canada’s largest and fastest network and you have our fastest ever smartphone. You wouldn’t think the battery was so large given the Mate 20 Pro’s slim 8.6mm body, but the 4,200mAh battery will power you through the entire day. If you do run low on power, the 40W HUAWEI SuperCharge will get your device up to 70% in just 30 minutes. Simple yet robust security with the in-screen fingerprint. Place your finger on the sensor and your Mate 20 Pro will unlock in an instant. It’s the most secure and convenient authentication method, keeping all your personal data safe. Enjoy a faster and sharper gaming experience on the Mate 20 Pro. With the new 7nm AI Mobile Chipset, you can expect a 75% CPU performance upgrade and 46% GPU performance upgrade. Enhance your shots with the Leica Ultra Wide Angle Lens. The Leica Ultra Wide Angle Lens adapts to the distance of your subject. Capture more of the landscape in all its glory, and discover microscopic details with crystal clear close-ups. All this amazing technology is housed in a sleek and stylish body. The smooth glass curves add to the Mate 20 Pro’s design, and provide an infinite display on the 6.4 inch screen. The HUAWEI Mate 20 Pro was designed for everyone. Whether your eyesight is limited, you have trouble hearing or have difficulty with dexterity, these fantastic accessibility features will help you use your device with ease. Adjust the display settings to suit your visual needs. You can increase font size so text is easier to read, and the large screen makes everything clear. From Teletypewriter (TTY) support to a range of smart speech features, your Mate 20 Pro is designed to make daily life easier. Voice recognition and voice-to-text features mean you can use your Mate 20 Pro hands-free. Plus, it’s compatible with Bluetooth headsets for even greater control. Enjoy big upfront savings on the latest devices with Bring-It-Back™. Only at TELUS. The world’s best smartphone camera is now even better with the new Leica Triple Camera and Leica ultra wide angle lens. Capture larger-than-life pictures in vivid detail with the HUAWEI Mate 20 Pro. A larger battery doesn’t require a thicker body. The HUAWEI Mate 20 Pro has a massive 4200mAh battery that powers you through the entire day. And if you do run low on power, the 40W HUAWEI SuperCharge will get your Mate 20 Pro to 70% in just 30 minutes. Whether it's in-store or online chat support, our friendly reps will help you make the switch. From learning how to use new camera features to connecting your bluetooth accessories, our Learning Centres experts can help you get the most out of your new device.